By Allen Fox: 42-year-old Roy Jones Jr. (54-8, 40 KO’s) will be facing Max Alexander (14-5-2, 2 KO’s) on December 10th in a comeback fight for Jones at the AmericasMart Bldg 3, Atlanta, Georgia. Jones has lost his last three fight with two of them by knockout. It’s disappointing that Jones has had to resort to fighting in an out of the way place like this against this type of opponent. If you look at Jones’ big fights in New York and elsewhere it’s a sad that this is what it’s come to. It’s unclear what a win over Alexander will do for Jones, because this isn’t a contender Jones is facing here. Alexander has lost five out of his last six fights. Jones loves fighting but I doubt he’ll be getting anything out of this fight in terms of a bump in public support. This fight won’t be shown on HBO or Showtime. There is no upside for Jones in this fight other than interrupting his string of losses. Jones definitely could use a win right now but he’s not going to go very far beyond this level of a fighter. 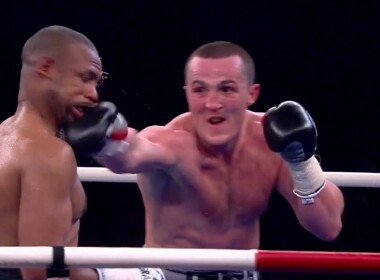 More boxing news on: Jones-Alexander ,Roy Jones Jr.